$9,454.00 This may be in stock for quick delivery; please call! The Prestige BC1193 bass clarinet is a perfect representative of Buffet Crampon’s savoir-faire at its highest level. It has an Eb/Ab lever and a low G resonance key, and is equipped with a double D spatula and a triple D spatula. Both of these clarinets, which have evolved and been perfected over many years of research and testing, possess the signature tone of Buffet Crampon instruments and have a warm, full timbre. They both have a neck in two parts for greater comfort without stress or stiffness. Buffet Crampon is the standard brand of reference for the bass clarinet and offers these two professional models in a choice of grenadilla wood or the Green LinE composite material. 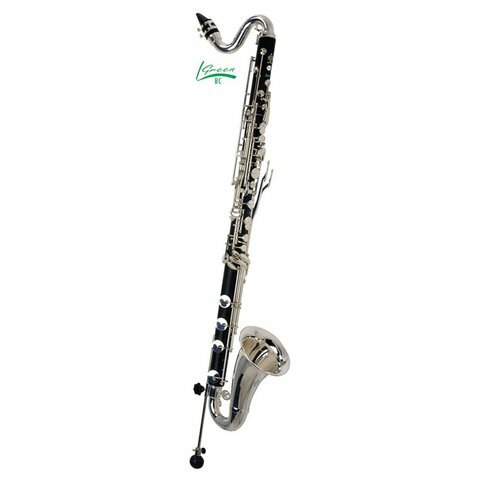 The Prestige bass clarinet BC1183 is also a solo instrument. All major orchestra clarinettists have played the bass clarinet.